Souq.com, an online retail and marketplace website in the Arab region, has launched its White Friday sale, its biggest online shopping event, with more deals than ever. From the November 20 to 24, customers across the GCC and Egypt can choose from more than two million deals and offers, with discounts of up to 70 per cent, a statement said. Shoppers across the GCC and Egypt can make huge savings with discounts of up to 70 percent across many categories. Customers can enjoy price drop deals, where they will be alerted immediately after prices drop on certain goods. The biggest ever White Friday sale on Souq.com will feature deals on products from many local and global brands. Hundreds of small and medium-sized business, including craftsmen from across the region, will offer deals on Souq.com. Souq.com’s banking partners in Saudi Arabia, UAE and Egypt will offer monthly instalments with 0 per cent interest for purchases on the site (subject to terms and conditions). 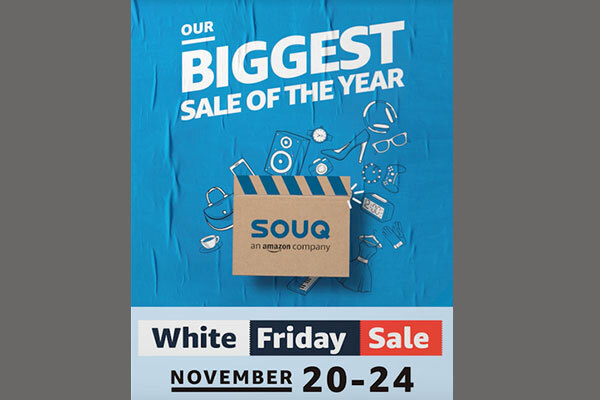 Souq.com brought White Friday to the Middle East in 2014 as a regional version of the global ‘Black Friday’, re-naming it as a mark of respect to the day of worship in the region. It is held during the weekend after Thanksgiving every year and this year, will run from November 20 to 24.